These hand-woven wicker baskets are made by an Amish family in the state of Missouri. Each basket is personally signed and dated by the family member who made the basket. 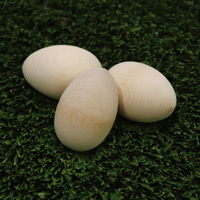 These natural colored wooden eggs are the same weight and consistency of a real egg. Made to lure the hen into the nest, and help stop egg breaking or egg eating habits. This basket is made of heavy wire and is welded at every joint. Each wire is coated with plastic to reduce breakage. "Fresh Eggs For Sale" sign is 24" wide by 18" tall. It is printed on both sides for viewing from both directions in your yard. The INCREDIBLE EGG SCALE is an egg scale/grader for small farm or home use. The vintage design is very attractive. This scale is all metal heavy duty construction and built to last a lifetime. These ceramic eggs have the look, feel and approximately the same weight of real eggs. They come three ways; all brown, all white, and all pastel multi. This easy to use egg brush is made of a rubber-like soft plastic. Makes egg clean-up “fast”.